Oh yeah. 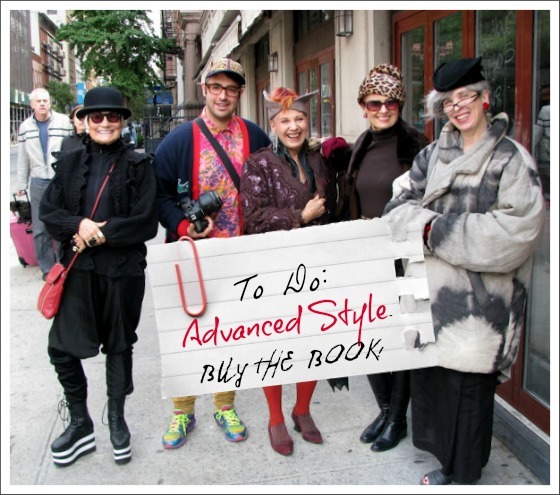 Along with my morning cuppa, I get to see these lovelies over at Ari's blog, Advanced Style. Style mavens such as the Style Crone, and the Forest City Fashionista standing arm and arm with AS regulars, Val + Jean of the Idiosyncratic Fashionistas and fierce fashion goddess and artist, Debra Rappaport. Stunning, each and every one of them. Then I see that Ari has generously mentioned my +40 Blog Roll, and already some wonderful ladies have added THEIR +40 blogs to the list in the comments! What a great way to start a Tuesday! Ari has a YouTube channel, and you really must subscribe to it- there are so many inspirational interviews posted already. I could spend all morning listening to them all. Most delightful is Judith's voice- I could simply swim in that woman's voice, I love it so. Bella Blogs: snapping snaps in a dressing room on the iPhone. I am loving my Seattle stomping grounds! My new neighborhood is awesome and I can't help but snap pictures of the beautiful environment. Forgive the plethora of flowers and chairs in my Insta-feed. I've been fascinated with both lately. 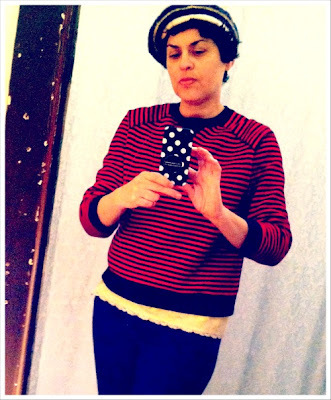 The picture above is me in a dressing room at a new vintage shop in Ballard. You see, I am also apparently very fascinating to myself. Ha. Blooming Madly: this is how Ari's Advanced Style makes me feel. Vivid. A big thank you to Ari for mentioning the +40 Blog Roll over at Advanced Style. 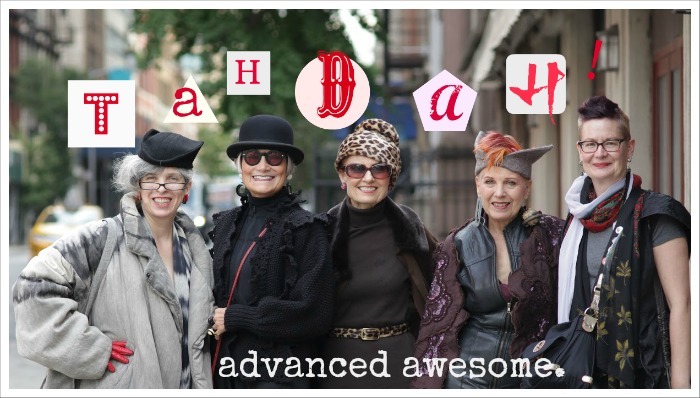 A big thank you to the Advanced Style ladies for showing by example the adage that style is eternal, or as the colorful Debra Rappaport puts it: "Fashion is flavor." Bella, thanks so much for posting this! I had checked Ari's blog last night but he hadn't posted anything yet. It was a thrill to be part of the dream team of sass and style for a few days, and they are all as much fun as they look! I know what you mean about Judith's voice too. 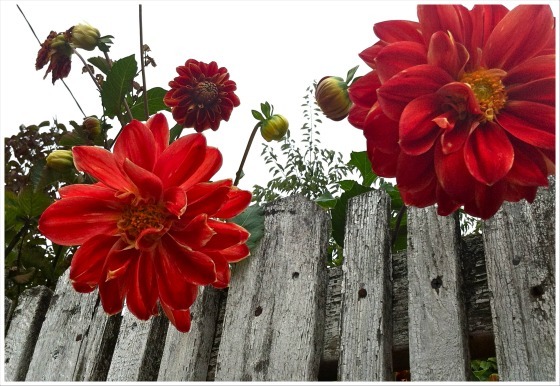 Love all the red flowers in your neighbourhood - glad you are enjoying Seattle. I found your blog through Ari Seth Cohen's twitter feed this morning, and it really perked up my groggy Tuesday morning! I'm enjoying your blog immensly and looking forward to reading more! I wish I can be so awesome in a few years! HOW perfect women and styles! WOW! I, too, found you through Ari's blog and am so glad I did! It's funny, I'd just told the Great Scot that I felt I'd been growing more conservative in my fashion choices and it was time I got over it. So looking forward to getting to know your blog better. I love Ari's blog. These ladies are the coolest. So brilliant, my deares Bella. You are leading the path amiga mía. 2:Love all these foxy ladies! 3:You ROCK, and your 40+ Blog Roll is a great way for like minded ladies of similar age to meet and greet and know they're not alone! I have had such a stressful day...until now...you just made me forget all of the petty issues and smile!! Loved the fun group shots and you look really cool in that dressing room shot!! I think I will just keep thinking of you guys and keep smiling the rest of the day! Just returned home and catching up, only to be greeted by your post, the photos of fun, and your kind words. I was honored to be included in pics with such amazing women and the brilliant Ari Seth Cohen. Thank you for the mention and for all that you do for the +40 crowd! By the way, you look radiant in your new neighborhood. Happiness becomes you! Isn't that the tam that you're wearing? You look so lovely! I never get tired of seeing beautiful flowers, or beautiful ladies! They really are very elegant, stylish and inspiring, these Advanced Style ladies! I love Advanced Style and all of Ari's ladies!!! 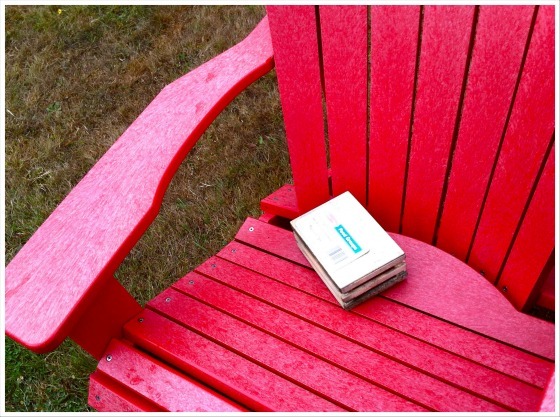 :) Thanks for posting about them, and for showing off your neighborhood! Such pretty pictures...Keep on having fun with life! This kicks so much arse!!!!! I love your 40+ blogroll! and I love all the flower shots keep em coming. Yeah to us old bats! Love the flowers. How fantastic to be celebrated on Advanced Style with those amazing women! My appreciation for all you do, Bella. Thanks for the snippets of your day - the gorgeous dahlias and your stripy / spotted goodness. I got very emotional myself seeing the +40 blog roll mentioned. You deserve the shout out! 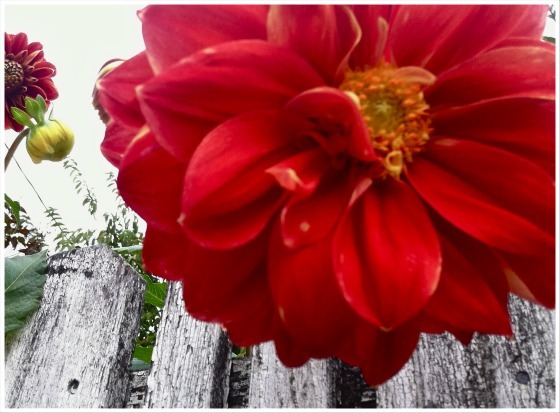 Pretty flowers, wonderful inspirational bloggers, lovely post. It must be my coolest "celebritystory" that I actually received an email from Ari. i don't know why I prefer looking at stylish ladies at an advanced age than younger girls... Maybe on one hand, I can learn something and appreciate their styles that stand the test of time and on the other hand, I can imagine my future rather than look back at my past. Stylish group of women there! I know Judith and will be sure to "meet" the others in my blogging adventures. I'm reading this post with my morning cuppa too. Great way to start off my day. Oh Bella - How cool! These ladies ROCK!!! I hope I can be half as awesome when I'm their age!! Thanks Bella for your nice comments, thank you for telling me i should be on every street style blog on the planet! Those girls are an utter inspiration, they look incredible and have a zest for life that many women half their age don't. Bella, this post is perfect! Those beautiful faces, the bright colors, the picture of you -- knowing that you are finding happiness and having fun with shopping and clothes, and the warmth of the post overall! yay! What a team ! Bravo! Congrats on the link-up with Advanced Style. He's doing such great work with it. And your blogroll is phenomenal. So many inspiring bloggers. I have 4 years and 9 days to get myself awesome enough to join in with your crew - they're making getting older appealing! Ta-bloody-dah!